Last week, the Tennessee Volunteers found themselves in a heck of a lot more of a dog fight than they probably expected to be against the Akron Zips. The men on Rocky Top finally put that game away in the second half, but it was a clear sandwich game between the brutal loss to the Florida Gators, and this one on Saturday. 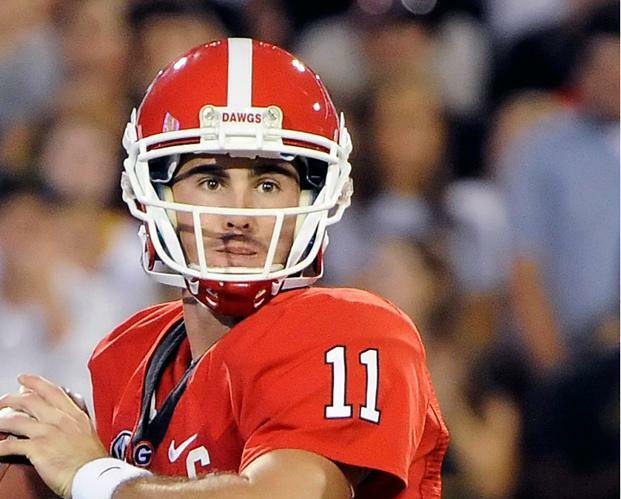 The Georgia Bulldogs are now really in a similar spot. It isn’t quite a vintage sandwich game, as last week’s win over the Vanderbilt Commodores wasn’t exactly the most brutal game in the world, but it definitely could be a look-ahead game as well, as the South Carolina Gamecocks are on tap next week in what will be the biggest game of the year in the SEC East. 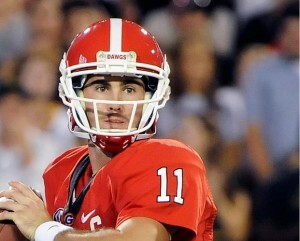 QB Tyler Bray and QB Aaron Murray are going to be expected to be stars in this one. Bray has thrown for 1,301 yards and 12 TDs against just three picks, while Murray, who is largely considered a Heisman Trophy candidate this year, has 1,092 yards through the air with 10 scores against two INTs. Whichever one of these men can guide his team down the field more efficiently is likely to be the winner of this game. Tennessee has failed to cover three spreads in a row coming into this one, while Georgia has gone just 2-4 ATS dating back to last year’s SEC Championship Game. The Volunteers had covered four in a row in this series from 2006 through 2009, but over the course of the last two years, it has been all Dawgs, as they have outscored the Vols 61-26 in two easy covers. This year, Georgia is -13 on college football picks, the biggest spread that this series has seen since 2008 when it was also 13. The ‘total’ has been set at 60.5. This entry was posted in Pigskin by Guest Authors. Bookmark the permalink. The SEC + The newly out-of-work replacement referees = Conference USA. Don’t be so naive, Dub. You and I both know SEC refs have their price. I’ll be pulling for the Vols this week. I would also love to see Uga bite Richt where it hurts the most. It’s the whole “Well, we hate them both but since we’ve already played and beaten the Vols, wouldn’t we want to play and beat an undefeated Georgia team in Ocotber?” debate. So, in that sense, I guess I’m going for UGA although personally, I couldn’t give a damn. You’ve got a good point Rev, but I’d still like to see Uga attack Richt like he played for LSU. Or was that Auburn. Either way I don’t like that guy. What’s to like about any of ’em?